There are now more than 50,990 public and private plug-in electric vehicle charging sites located throughout the US — up from 34,151 in 2015 — according to the newly released Electric Vehicle Charging Association’s 2017 State of the Charge report. The new report re-evaluates the state of the plug-in electric vehicle charging network in the US, two years after the previous State of the Charge report from the Electric Vehicle Charging Association (EVCA) was released. While the focus of the report and analysis is on California (as the acronym implies), data relating to the broader market is included as well. * Volkswagen’s $800 million investment in EV charging infrastructure in Californian as part of its larger emissions-cheating settlement. * ChargePoint’s acquisition of GE’s EV charging network. * The development of the West Coast Electric Highway connecting Washington, Oregon, and California with DC fast charging stations along Interstate 5 and other major roadways. * Total EV sales in the US have reached almost 700,000 and could soar to a fleet of up to 7 million by 2025. * The US has a network of more than 50,990 public and private charging outlets, up from 34,151 in 2015. * California is overrepresented in the national EV market with more than 295,500 EVs on the road, a 42% share of national sales. * Public and private charging outlets in California total 15,930, with eight of the top 10 US cities for DC fast charging networks being in the state. 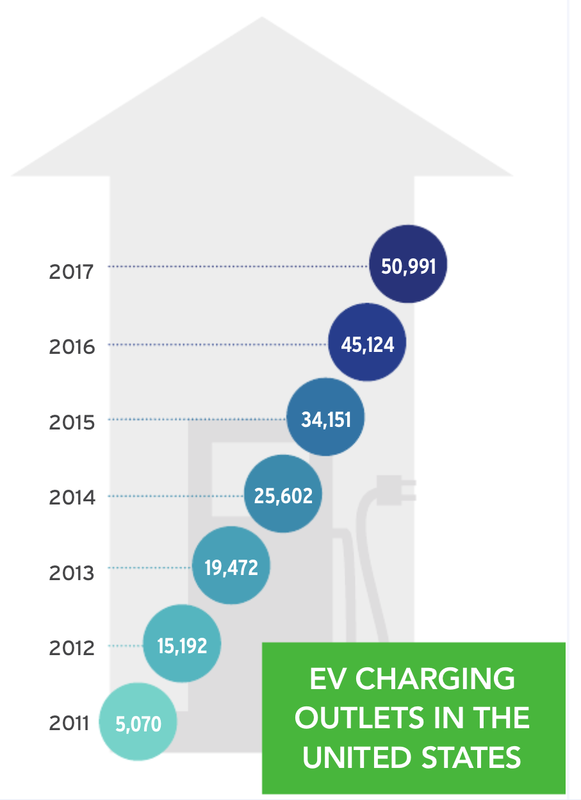 * EVCA members ChargePoint, EV Connect, EVgo, and SemaConnect collectively operate 40% of all public and private charging outlets in the US and 57% in California. We highly encourage you to check out the full report to get into the details.